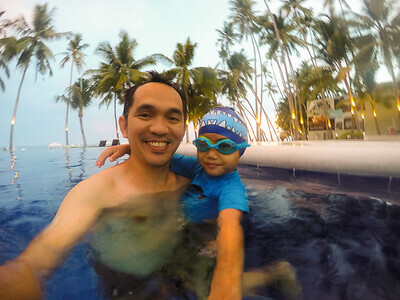 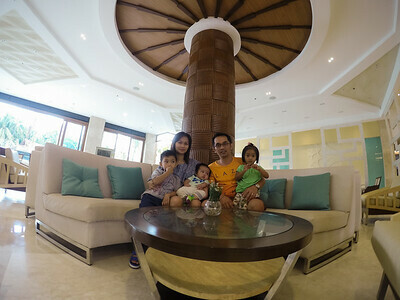 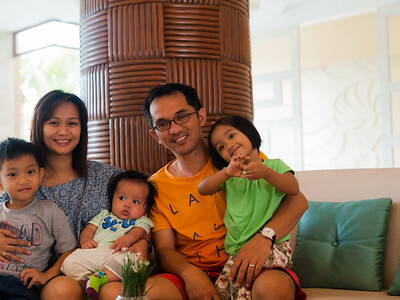 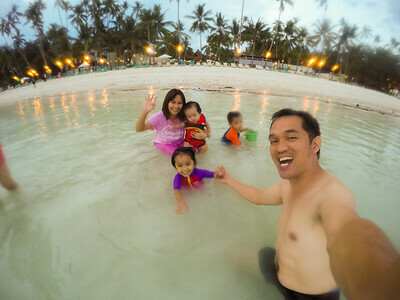 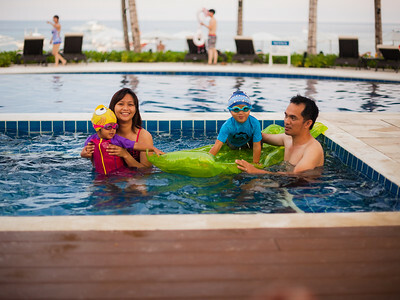 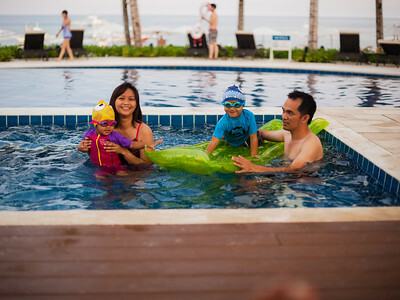 We had been planning this vacation maybe for almost 1 year, to spend a little time with our kids. 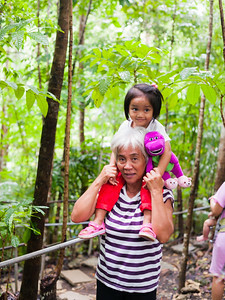 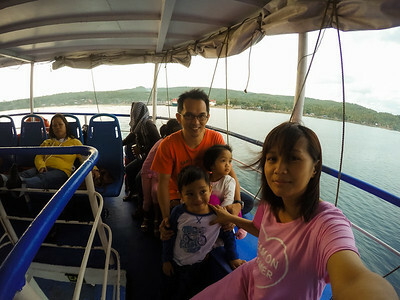 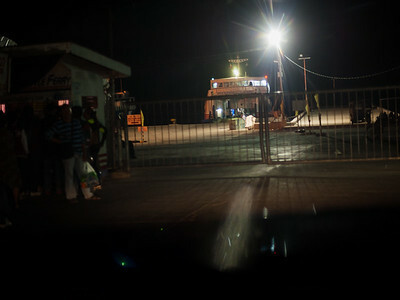 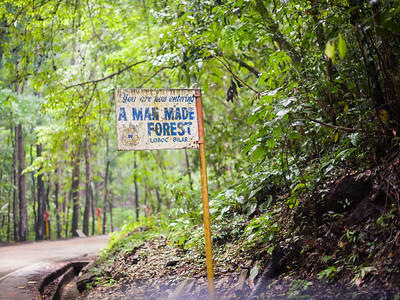 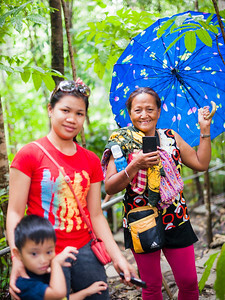 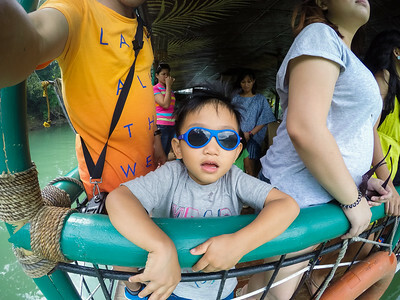 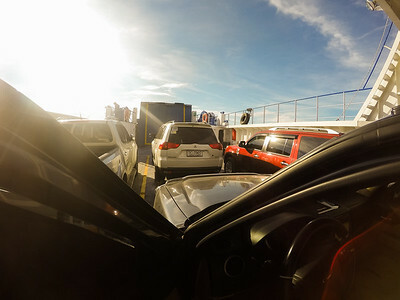 we decided to travel by land going to bohol from davao. 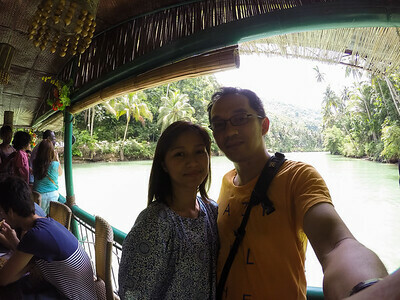 but 5 days prior to scheduled vacation, i lost my job at Blackberry and it has a domino effect to my wife. 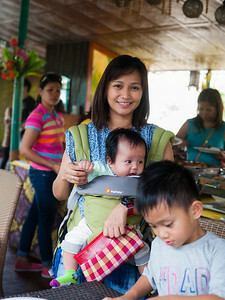 she also lost her job because her working pass was tied to my employment pass. 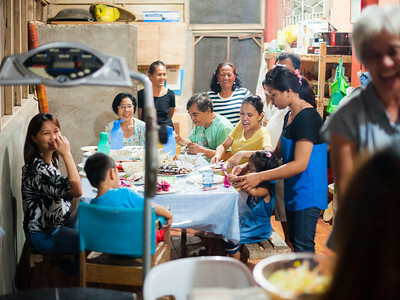 we are thankful to God for providing our needs. 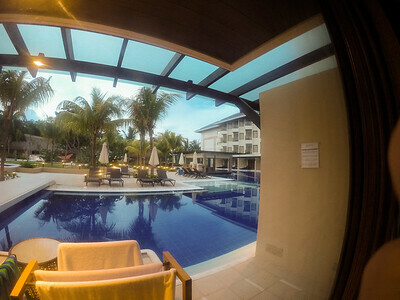 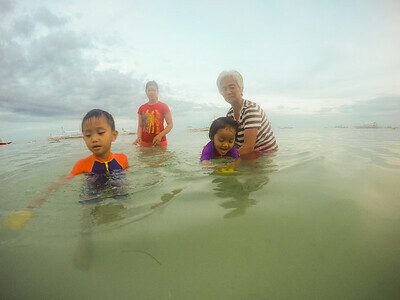 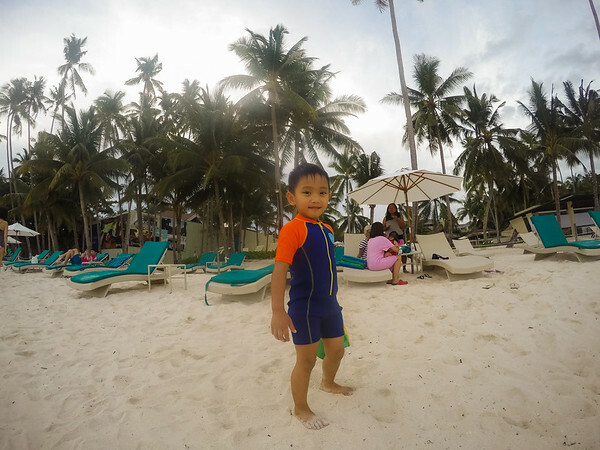 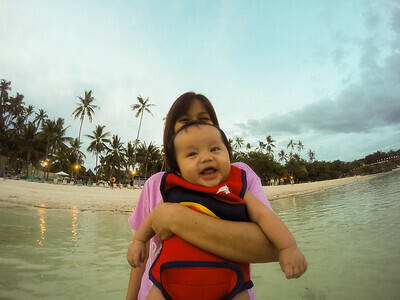 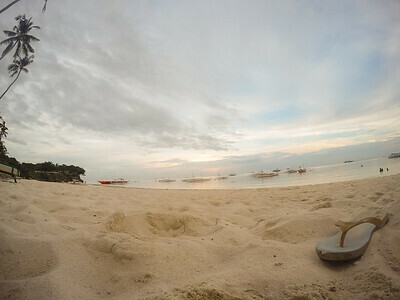 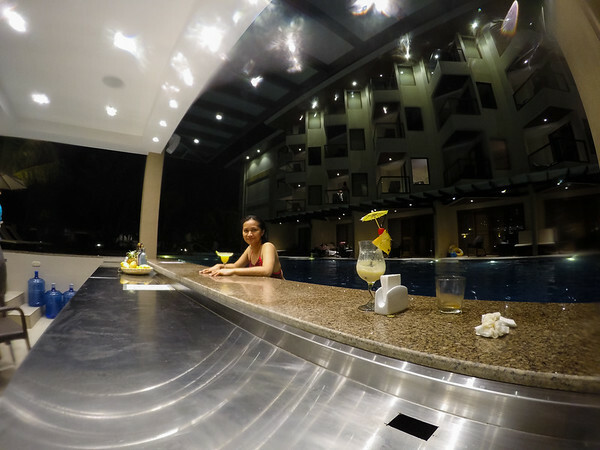 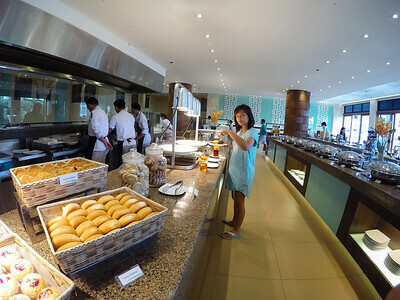 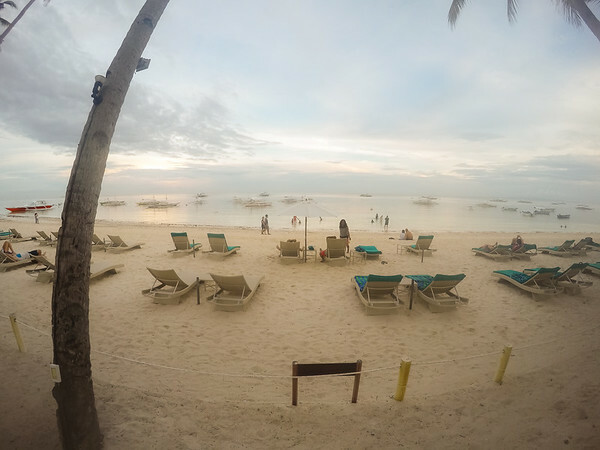 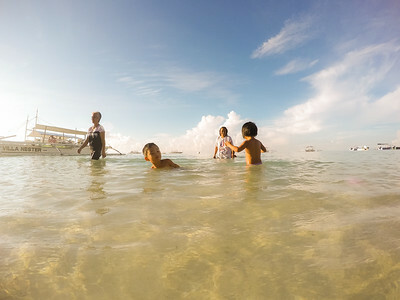 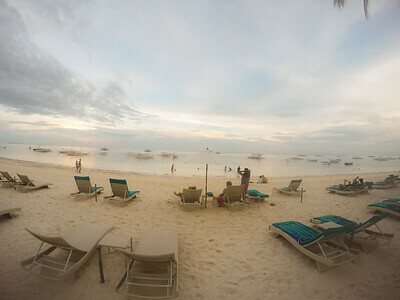 Our Destination is #Hennan Resort in Panglao, Bohol. 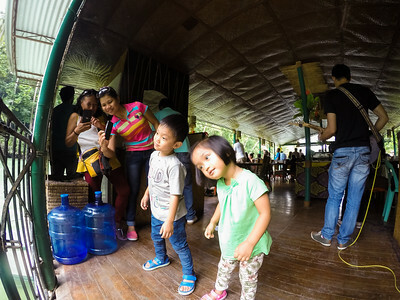 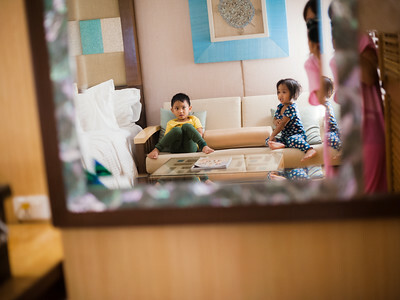 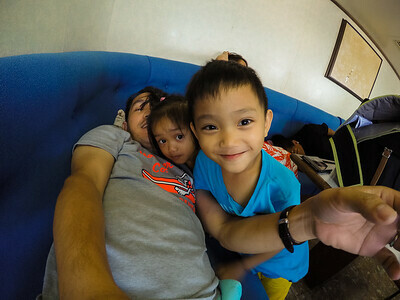 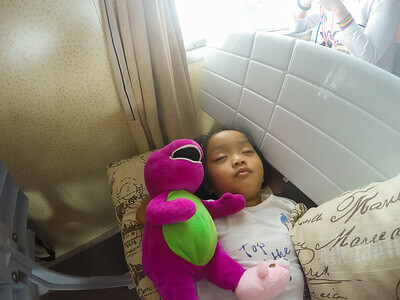 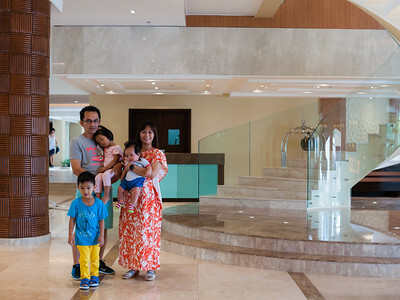 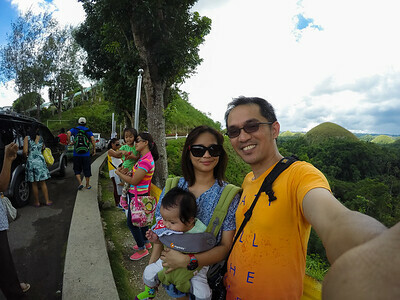 before our long trip mommy farrah is enjoying with the kids. 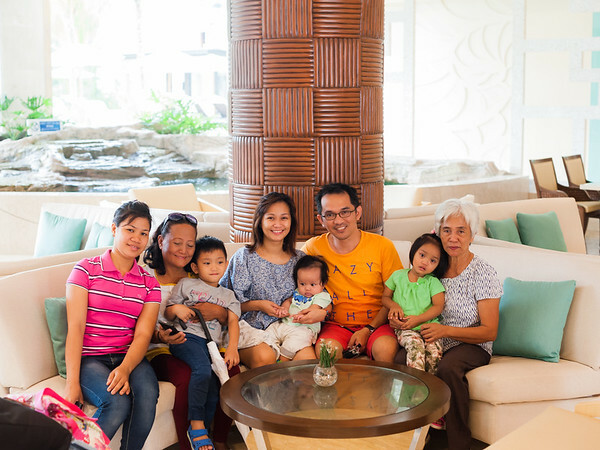 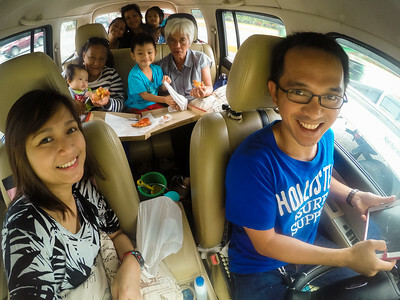 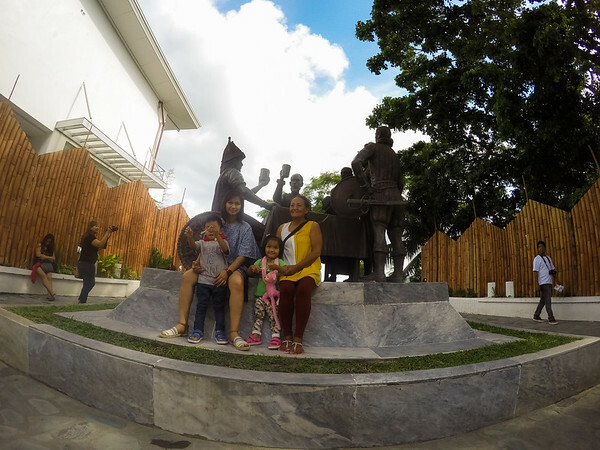 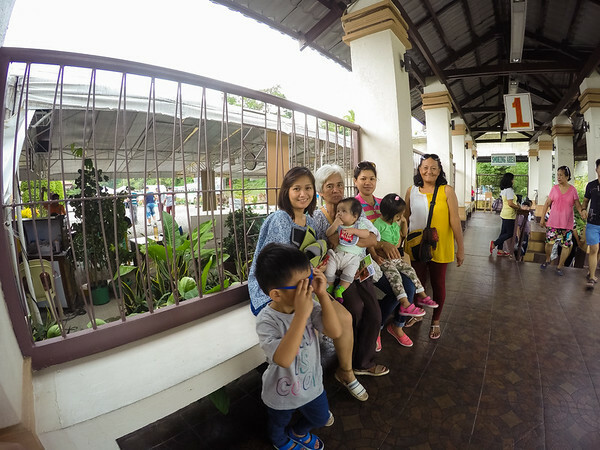 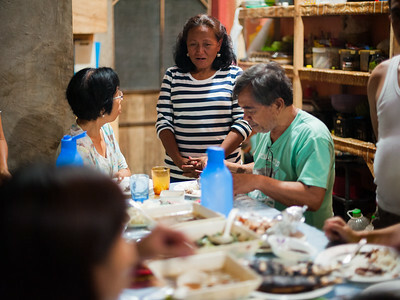 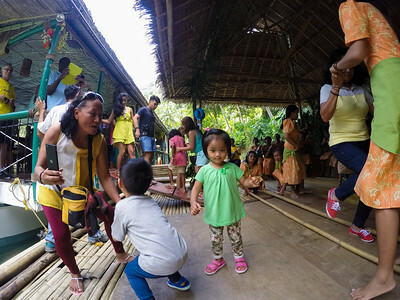 after attending the first service at Victory Davao, we started our journey our first stop is Butuan to have a short stop over in our relatives place. 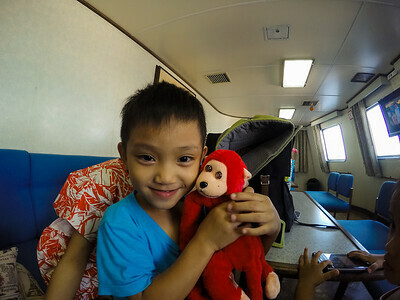 bryan and cham. 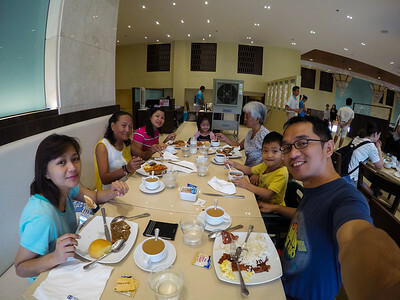 after driving for almost 6 hours we arrived in butuan and have dinner and rest for a couple of hours since we need to hit the road again at 2:00am. 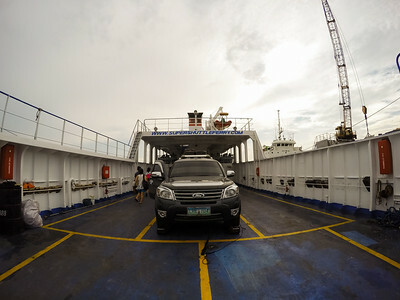 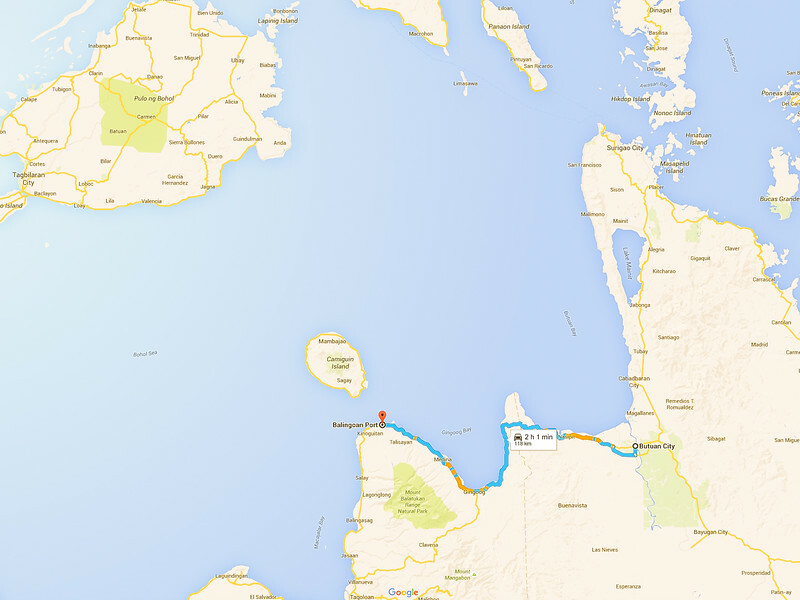 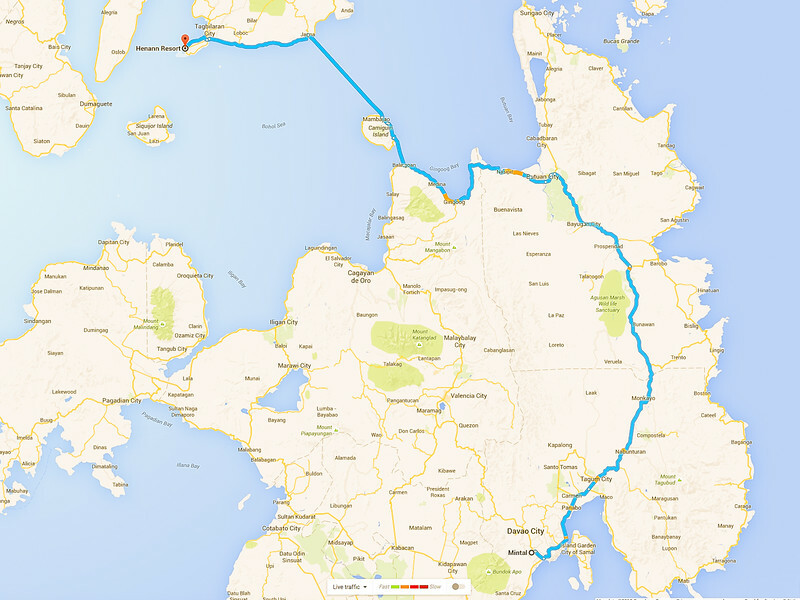 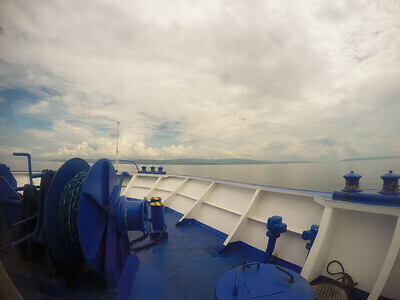 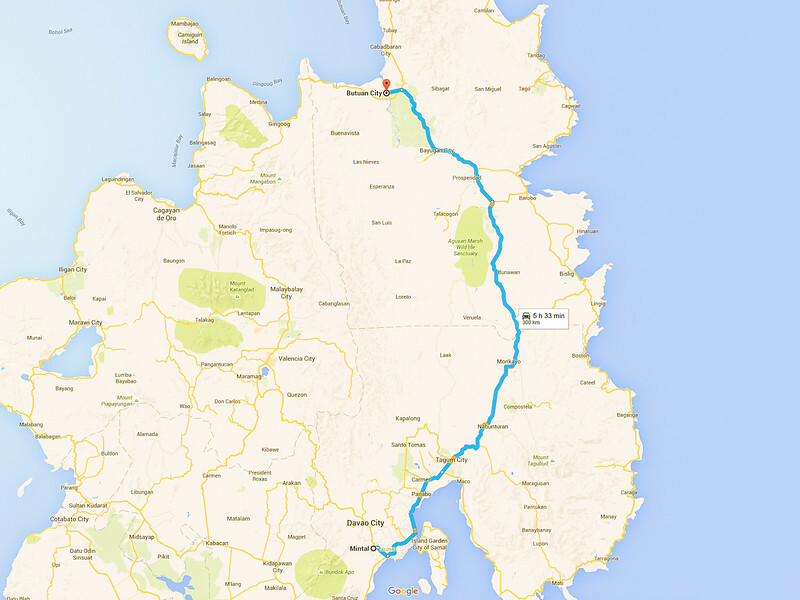 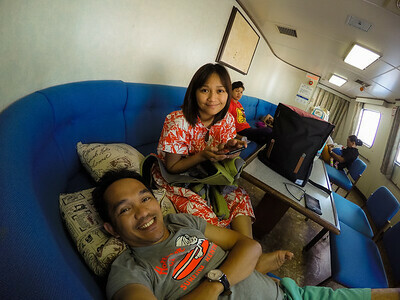 From Butuan City we drive 2hours to Balingoan port to take a #roro to Camiguin. 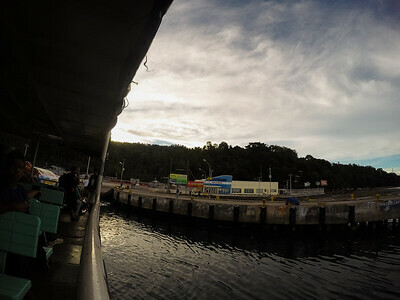 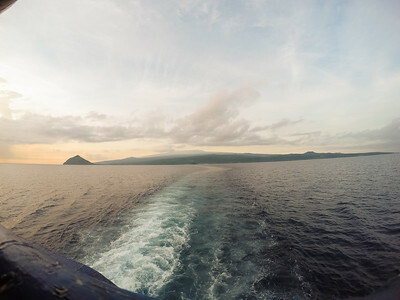 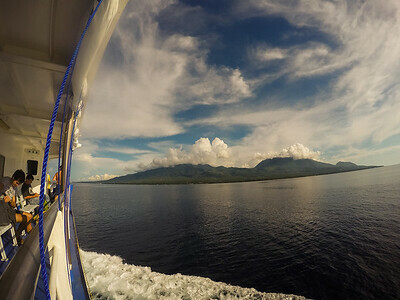 From Camiguin we need to take another #roro going to #jagna port, #Bohol. 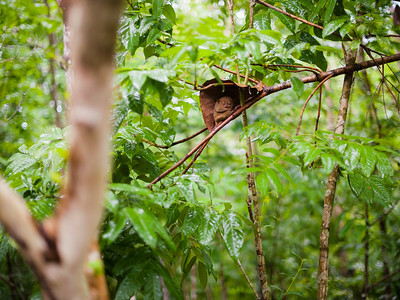 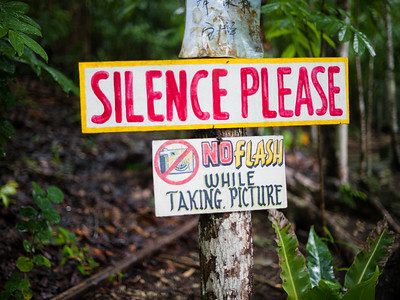 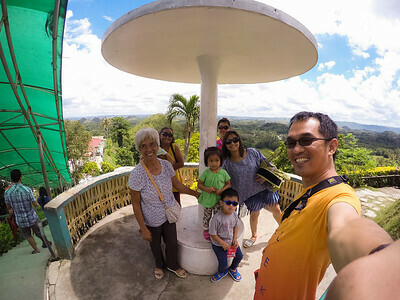 Finally we arrived in Bohol safely, our first stop is to visit our distant relative, the #tarsier. 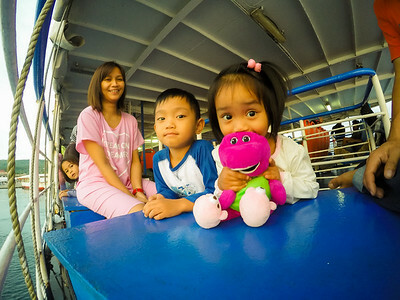 unfortunately it's raining so the kids didn't enjoy that much. 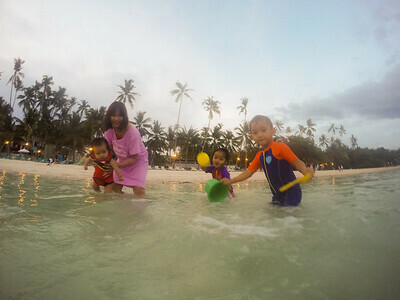 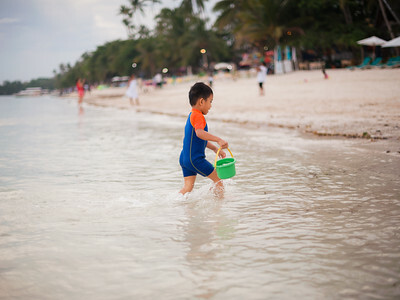 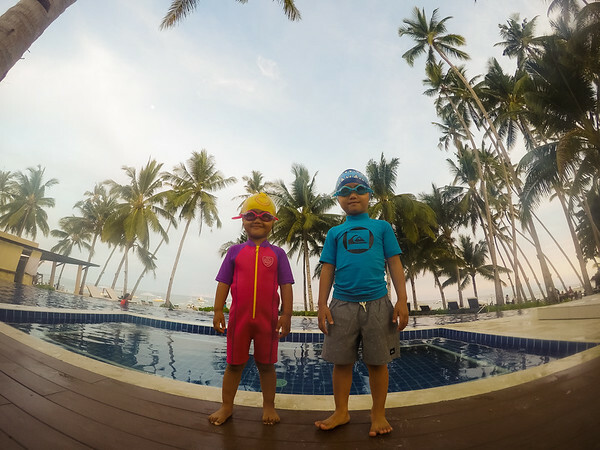 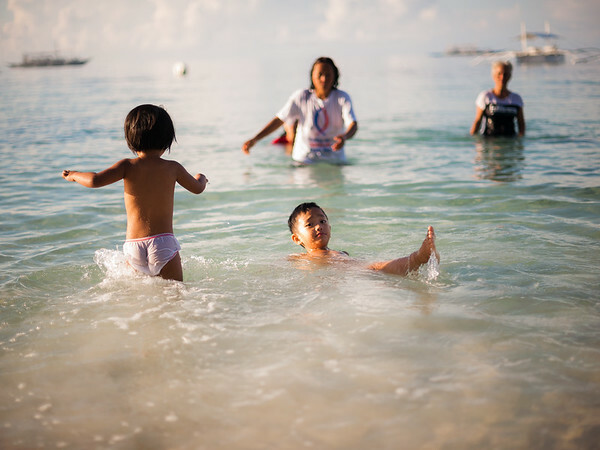 Late in the afternoon we arrived in our hotel, the kids immediately took their swimming attire and off to swim at the beautiful beach of Bohol. 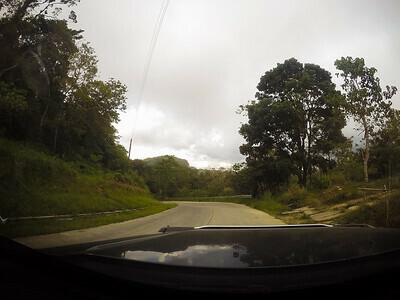 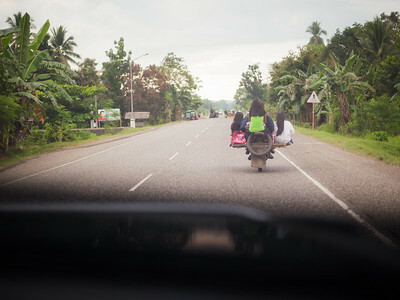 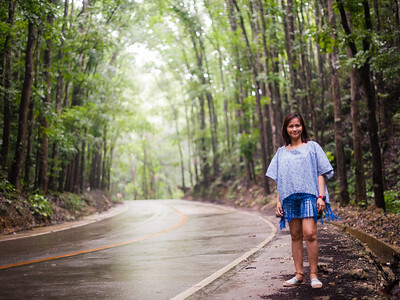 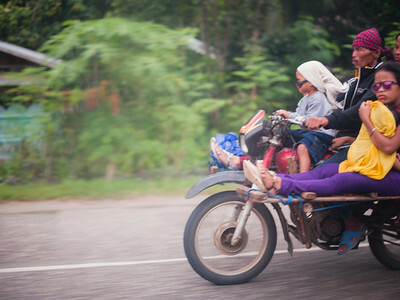 Woke up early to hit the road again to roam around bohol.. 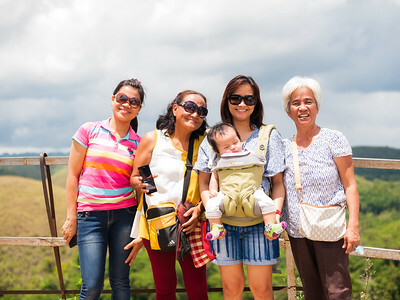 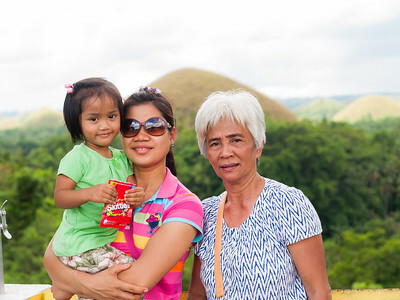 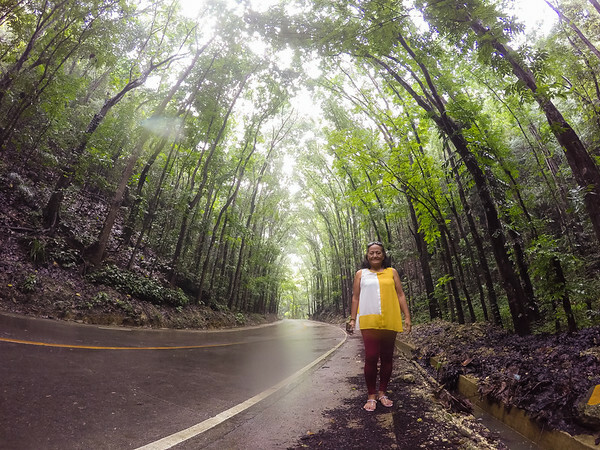 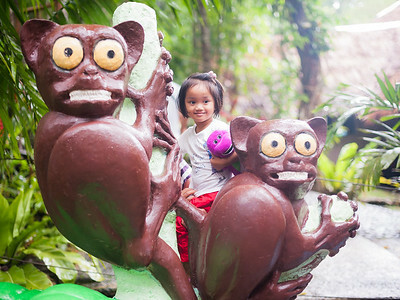 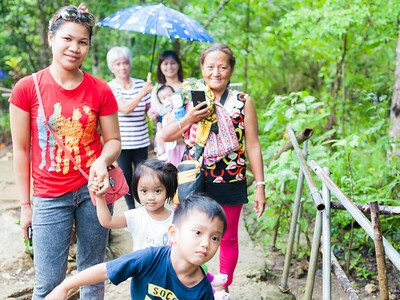 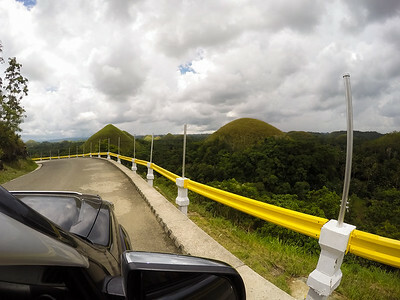 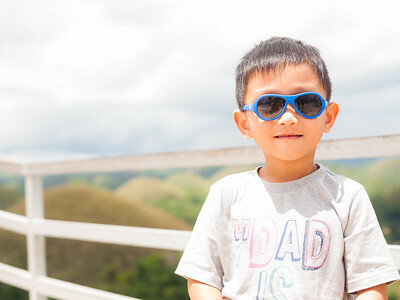 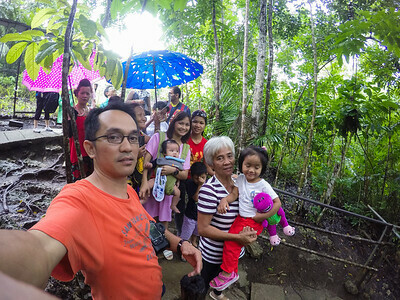 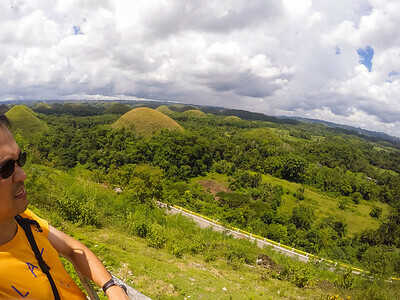 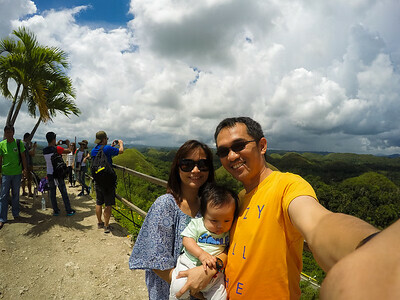 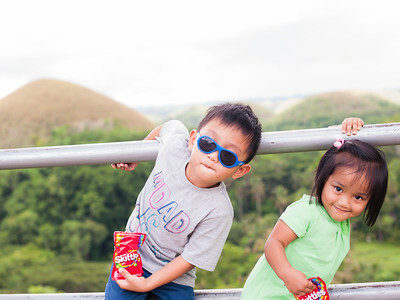 It's a de facto that when you visit bohol, you need to dropped by the chocolate hills. 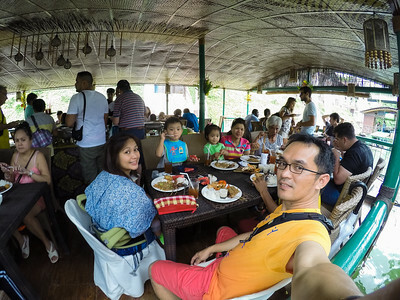 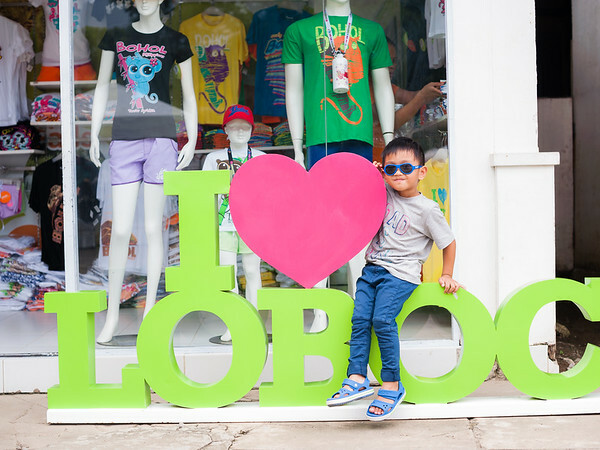 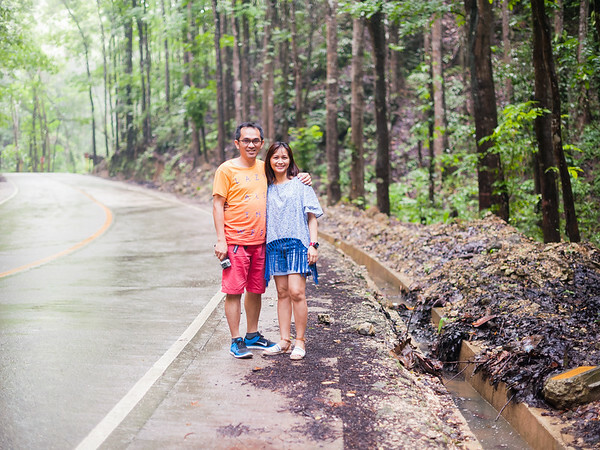 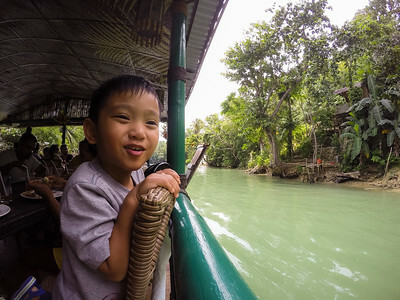 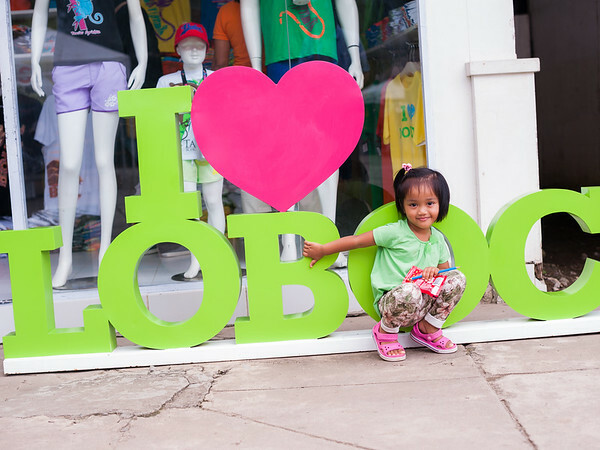 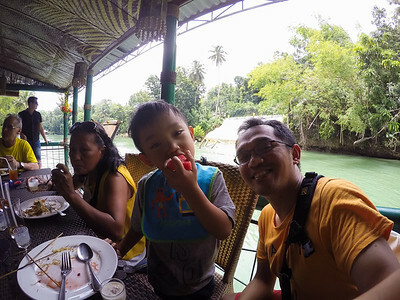 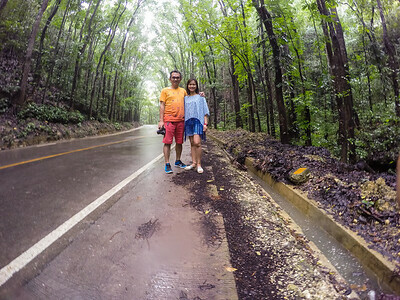 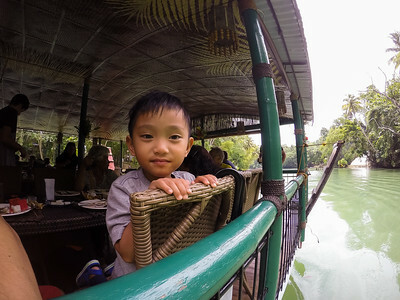 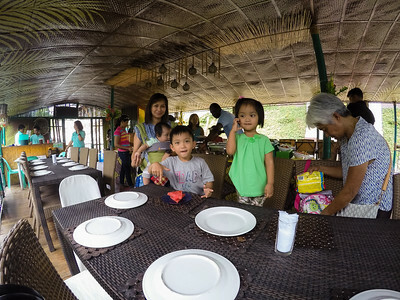 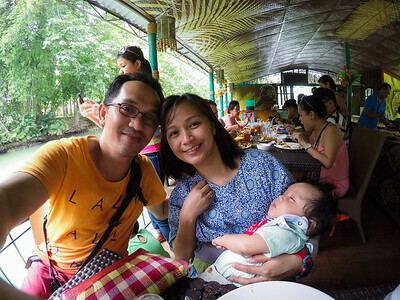 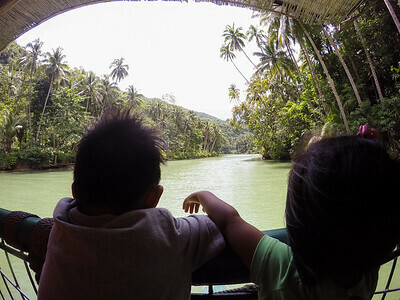 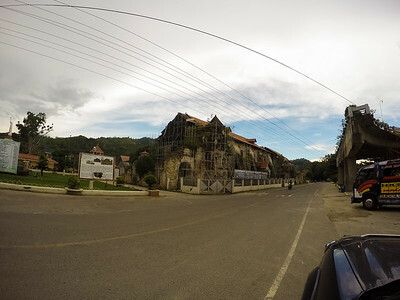 From #ChocolateHills we hit the road again to have lunch in #Loboc. 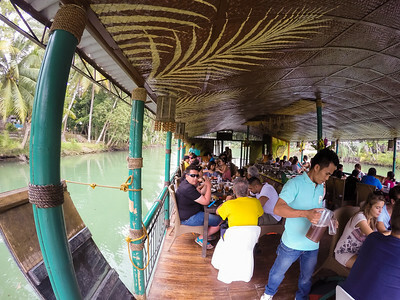 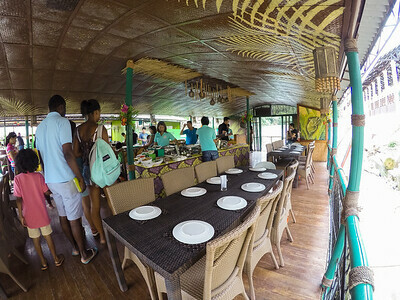 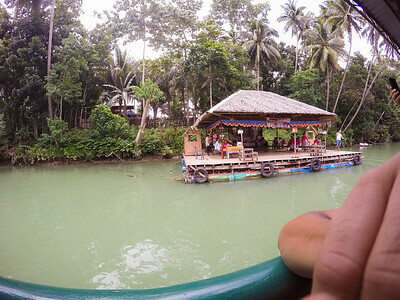 its a floating restaurant. 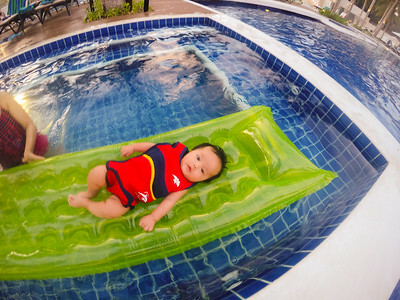 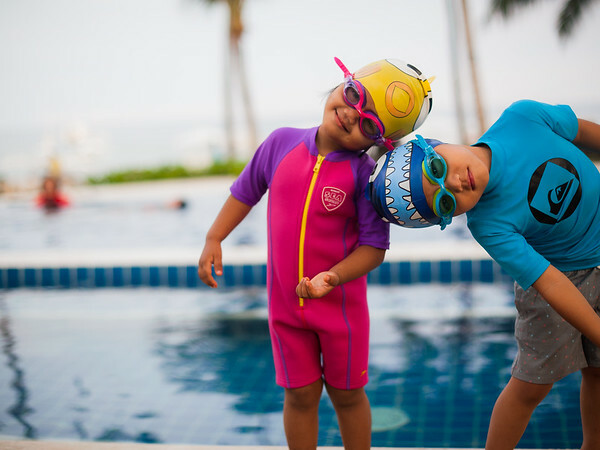 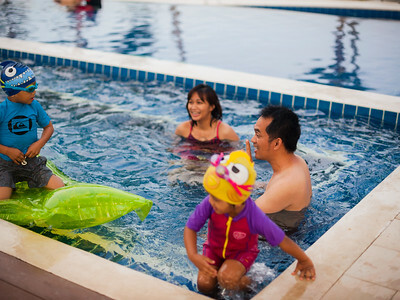 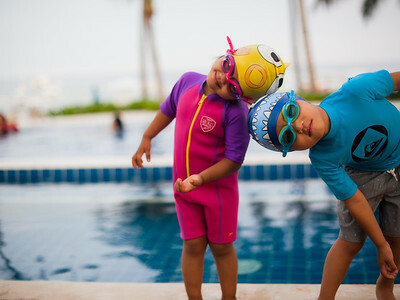 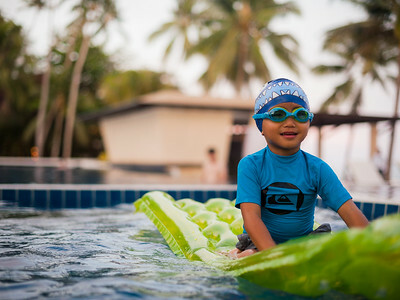 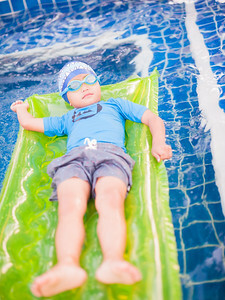 Kids are enjoying, as a parent we want our kids to enjoy as much as possible. 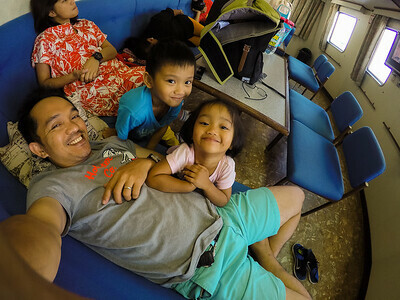 Coco and Belle really enjoyed the beach, they woke early and hit the beach..
Now our short vacation is finished, time to hit the road again. 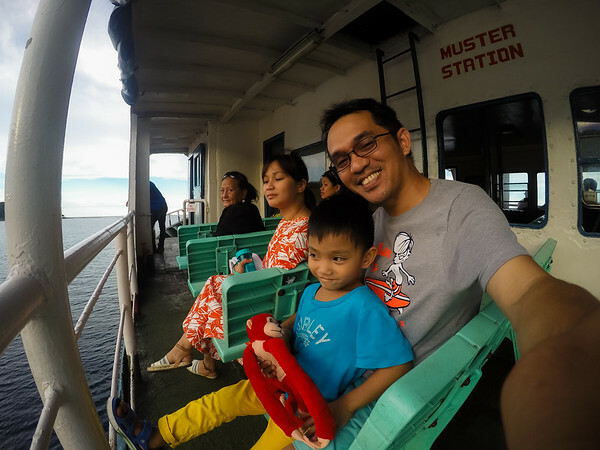 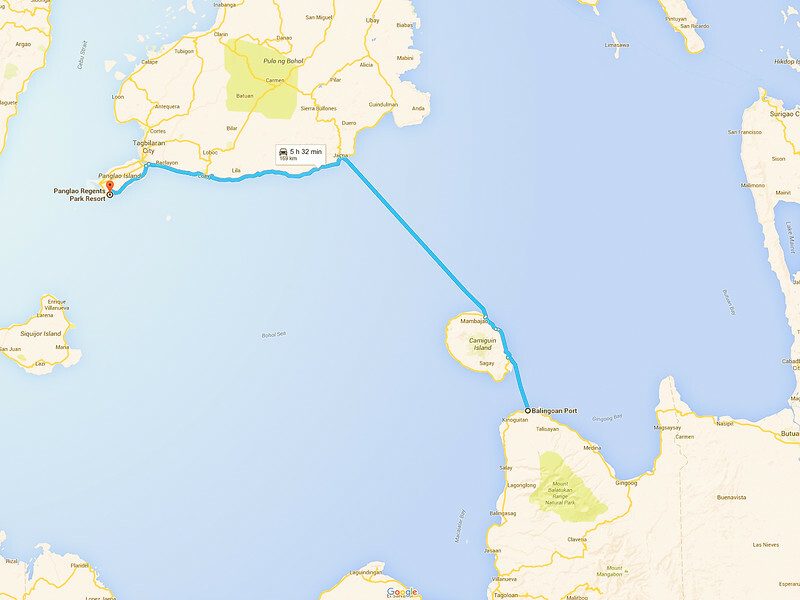 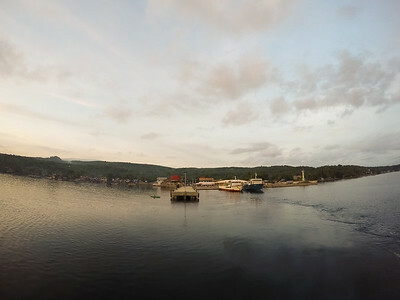 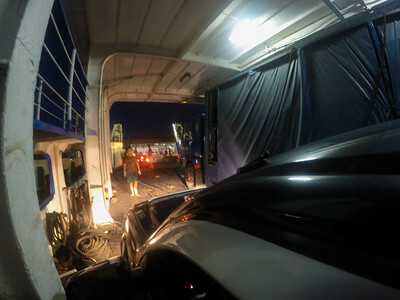 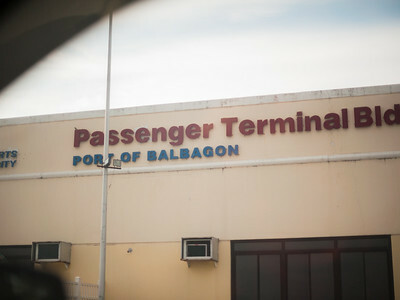 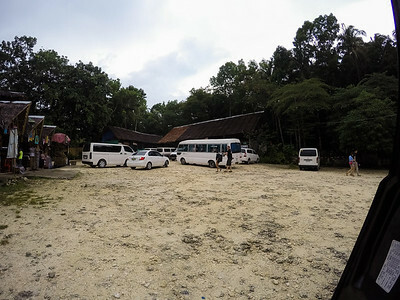 need to catch with the last trip of roro in #Jagna Bohol to #Balbagon port in Camiguin, Drive 15 mins to #Benoni port still in Camiguin to take a roro to #Balingoan port. 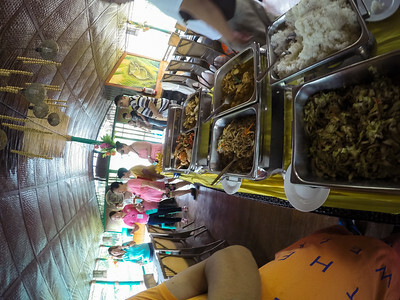 We arrived at Balingoan around 6:30PM, so we had a dinner first before we hit the road to Davao city. 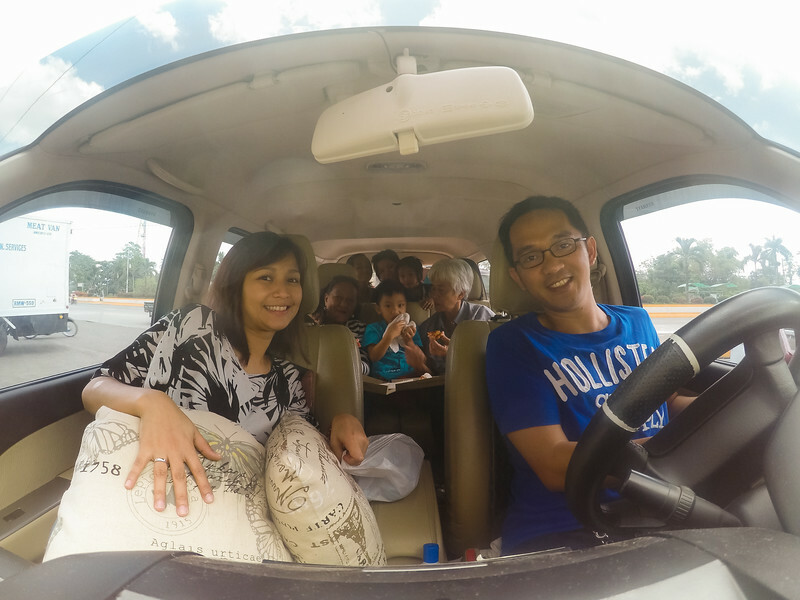 we decided to take Bukidnon-Davao route usually it will take 6-8 hours or less..but since we are driving at night, and its raining and i'm the only one driving it took us ~11 hours.